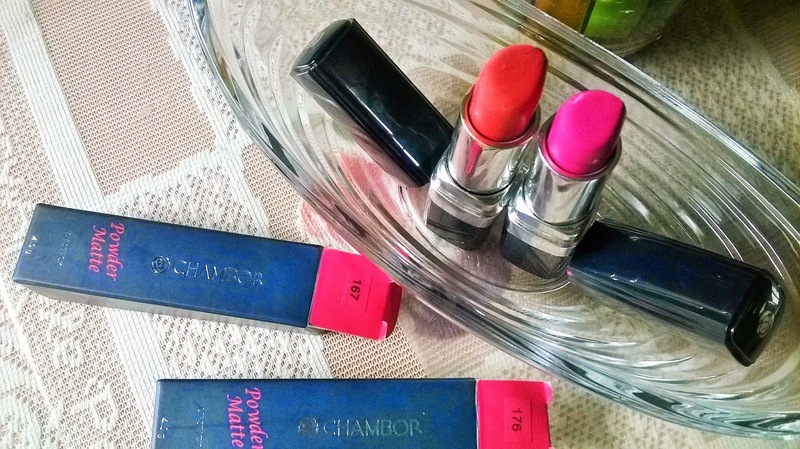 I love wearing bright coloured lipsticks. 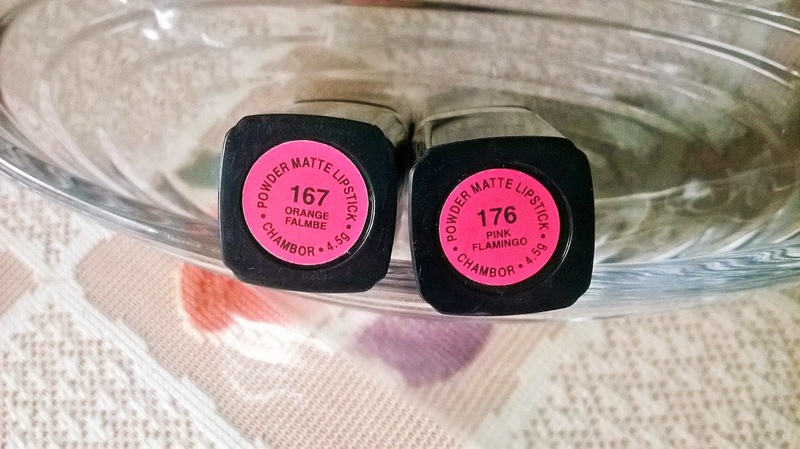 The latest to make an entry in my vanity are the 2 gems from Chambor Powder Matte- No.167 Orange Falmbe & No.1776 Pink Flamingo. 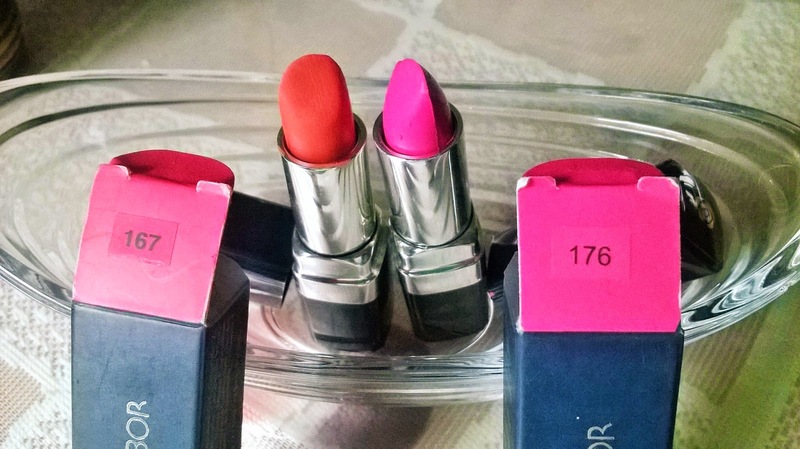 These lipsticks are really and truly matte. 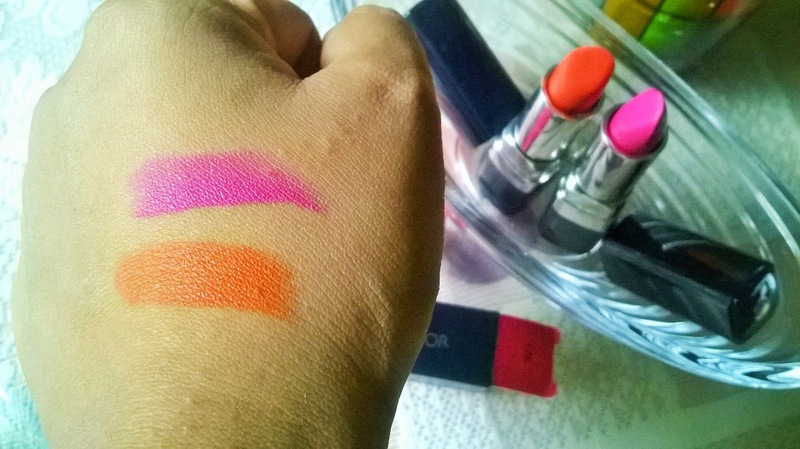 However, like we often think of matte lipsticks as dry, these babies are absolutely soft to the lips. 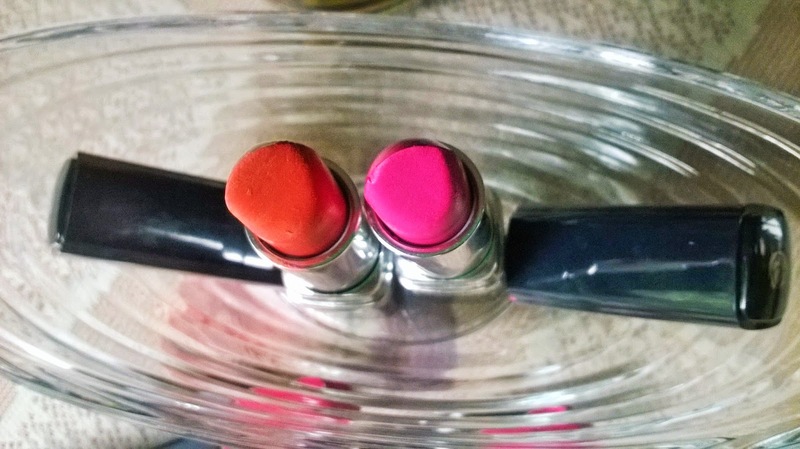 But make sure that your lips are well hydrated before.They have a tendency to settle into fine lines, but they never really dry your lips out. 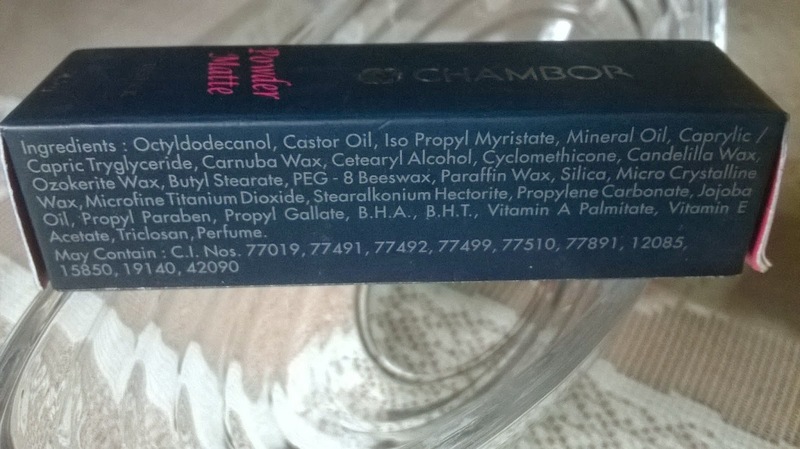 The staying power is very good and it really stays for 4-5 hours even after sipping tea or having food. the colour pay off is also very good and if you are a person who likes it subtle just one swipe is going to give you nice colour. If you want it bold and strong double it up. 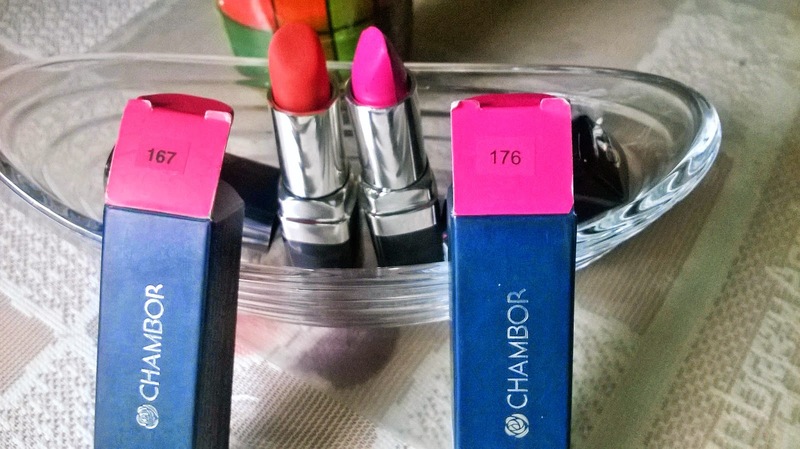 I think Chambor Powder Matte Lipstick in Orange Falmbe & Pink Flamingo are 2 of the best lipstick shades available in India now. 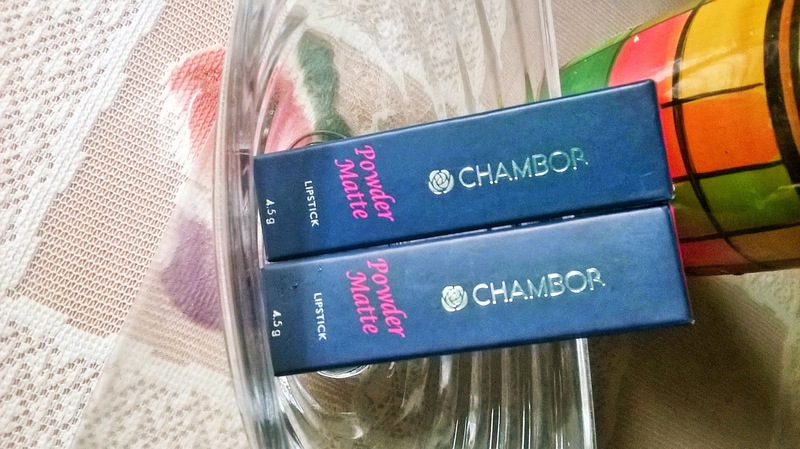 Have you used Chambor Powder Matte Lipstick? Which one is your favourite?